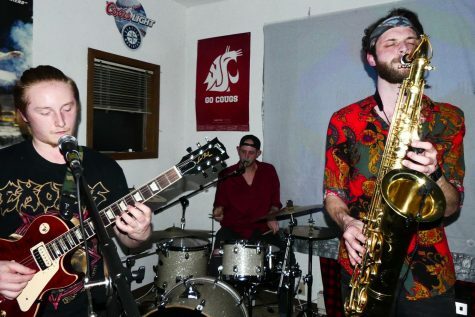 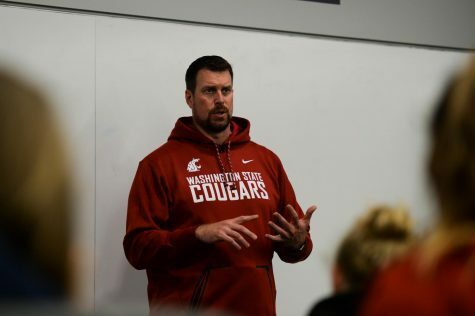 WSU football took the field on Thursday to kick off spring camp for the first time since taking down Iowa State nearly three months ago. 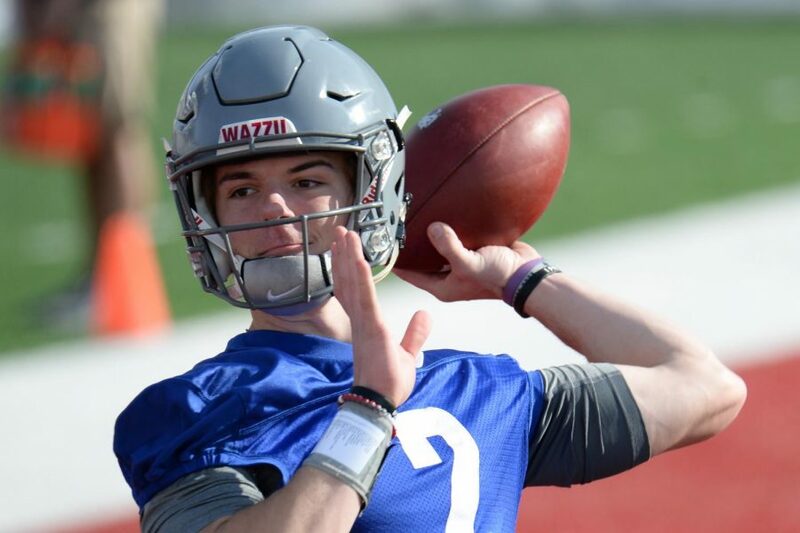 The first day of spring practice featured a lot of individual-position drills, a welcome sight for the players after they spent the majority of the winter stuck in the weight room. 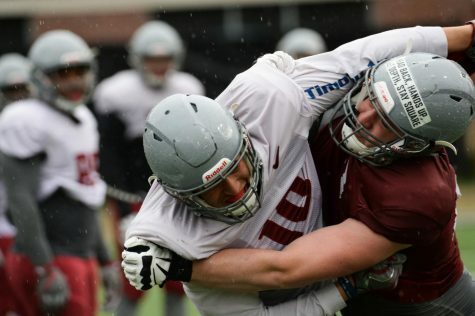 After that, they moved to team drills as the offense faced off against the defense in the red zone. 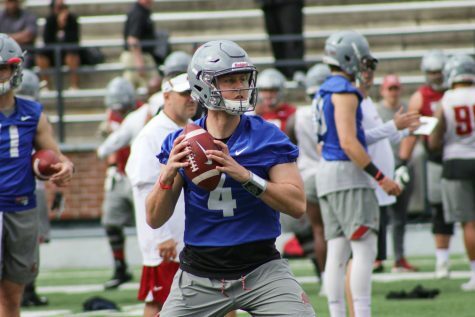 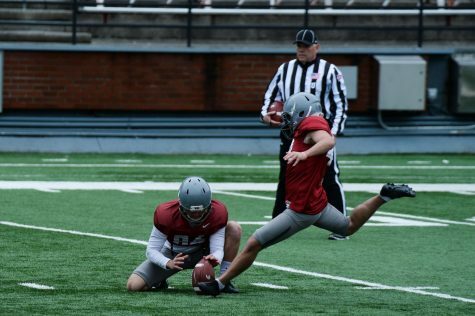 Maybe the position that garnered the most attention on the first day of spring practice was quarterback as Head Coach Mike Leach looks for Gardner Minshew’s replacement. 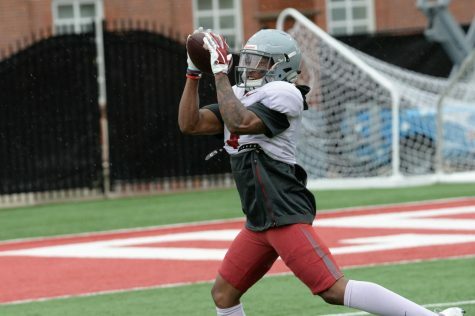 The two players who seem to be getting the most attention for the position are redshirt seniors Anthony Gordon and Trey Tinsley. 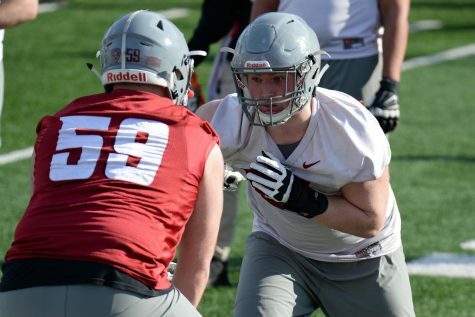 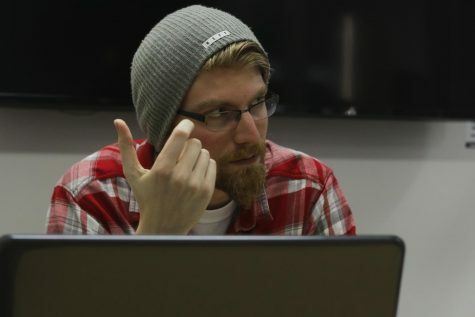 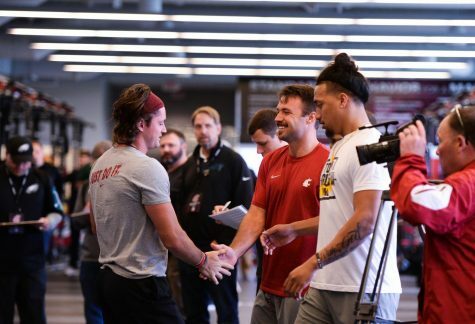 They both looked good on the first day as they attempted to make an impression on the coaches with graduate transfer Gage Gubrud expected to miss spring camp due to an injury. 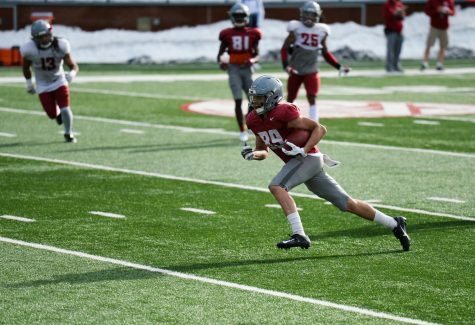 Another player who impressed on the first day of camp was sophomore running back Max Borghi who showed off his explosiveness and strength while finding the end zone multiple times. 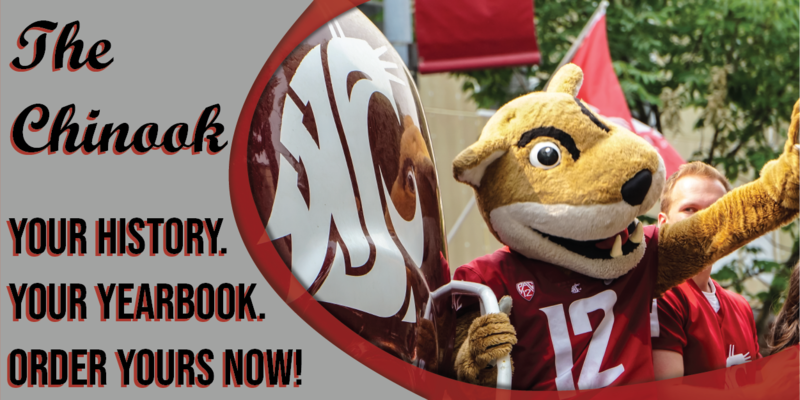 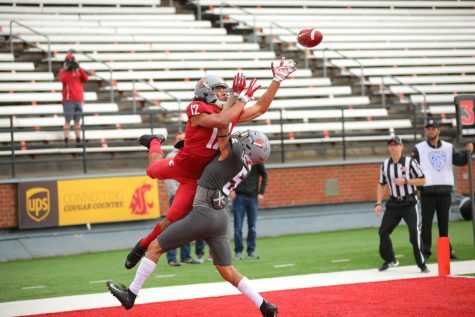 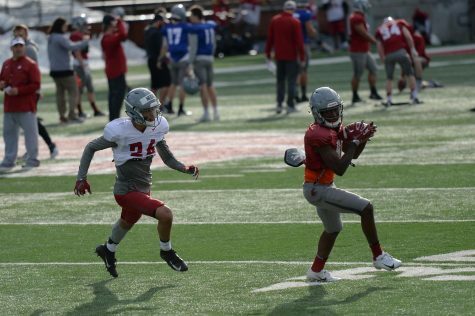 The other big news from the first day of camp was that junior wide receiver Jamire Calvin, who played a big role at the end of last season for the Cougars, did not participate in practice due to an unspecified injury. 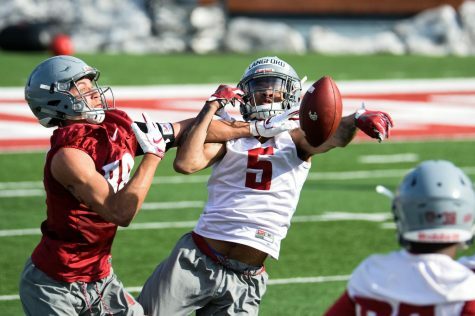 The Cougars will return to the field Saturday for their second spring practice.